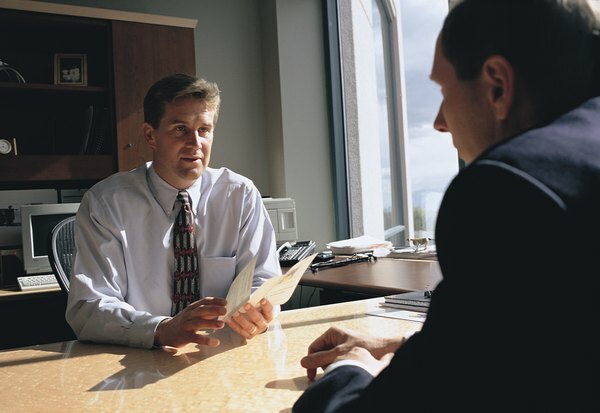 The costs of job-hunting are tax deductible, subject to limitations. It's bad enough to find yourself unemployed. Added to that concern is exactly how you're going to get the most tax benefit from your changed circumstances until you find work again – particularly if you have other sources of taxable income. You can claim a deduction for unemployment expenses if you itemize on your return, but a lot of rules apply. Deducting unemployment expenses requires filing Schedule A with your tax return. Enter costs related to looking for work on Line 21. If any of your claimed expenses involve travel, you'll also have to complete Form 2016 to calculate the amount you can enter on Line 21. The good news is that if you itemize rather than take the standard deduction, you can also deduct other expenses on Schedule A, such as those for property taxes and mortgage interest, medical and dental expenses, and even charitable donations. When you combine your deductions in all these categories, you would then enter the total on Line 40 of your 1040 tax return. Not every expense associated with your period of unemployment or with job-seeking qualifies as a tax deduction. If you have your nails buffed to make a good impression in an interview, the Internal Revenue Service won't give you a break for the cost. However, you can deduct the costs of a resume service, printing and mailing resumes, travel to job interviews, fees charged by placement or employment agencies, and even long distance telephone calls. If you include the cost of traveling to interviews, you can complete Form 2106 and deduct mileage related to your job search at the rate of 56.5 cents per mile as of 2013. Although you might be tempted to go into a new line of work or change careers, you can't take a tax deduction for your job-hunting expenses if you do. These deductions only apply if you seek work in the same profession you've always worked in. If you're successfully hired, you can't deduct any costs that your new employer reimburses you for. You also can't take extended time off before you start looking for work again. Unfortunately, you can't deduct the total of your unemployment expenses on Schedule A because these deductions are subject to the IRS 2 percent rule. This means you can only deduct the portion that exceeds 2 percent of your adjusted gross income, and the section relating to job expenses on Schedule A has provisions for this. For example, if your AGI is $75,000, you would only be able to deduct unemployment expenses exceeding $1,500. This might not be much of a consideration unless you're filing a joint return with your spouse and she's reporting considerable earnings, or if you have significant other sources of income, including unemployment compensation or severance pay. These incomes would all contribute to your AGI. If you end up relocating to take a new job, you might be able to deduct the costs of your move as well – and you don’t have to itemize to do so. These expenses are above-the-line on Line 26 of your 1040, which helps reduce your AGI for purposes of calculating your deduction for other expenses. Some complex rules apply to this deduction, however, including that your new job must be at least 50 miles farther from your home than your last job was. H&R Block: Which Unemployment Expenses are Tax Deductible?